Wrong Shade? Fix it fast! Approximately 30% of restoration remakes are due to the wrong shade and color mismatch, costing you time and money. Now rescue that restoration quickly and easily with VITA AKZENT Plus CHROMA STAINS. 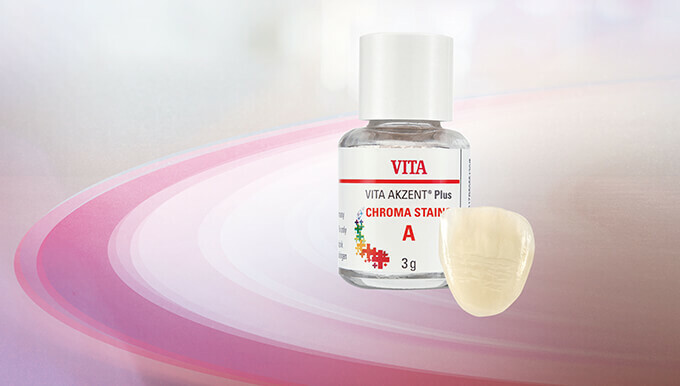 VITA AKZENT Plus CHROMA STAINS help you correct chromasticity in just a few minutes. And you can correct restorations in the lab or even chairside.